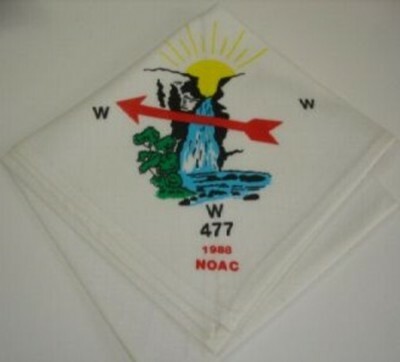 Here is the fourth previously uncatalogued neckerchief from Gajuka Lodge #477. During the 1988 NOAC, Gajuka Lodge issued 10 different flaps with 5 different border colors and 2 FDL. I guess an additional neckerchief was not too much more.